There are lot of different Australian Banks. The big ones are ANZ, NAB, Westpac and Commonwealth. Others include HSBC, Suncorp, St George, Macquarie Bank, ING, Elders Rural, Citibank, Bendigo Bank and BankWest. 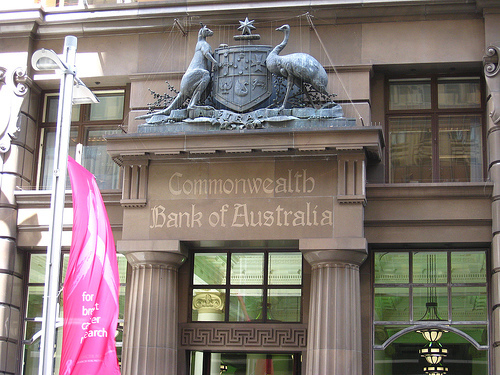 Some, such as Adelaide Bank and Bank of Queensland are state banks.